Ultra-small, low profile drive stays put for extra storage, or moves media super-fast between devices. Enjoy fast performance speeds. Connect it to hard-to-access TV USB ports for video playback or let it ride along in your notebook or car audio system wherever you go. 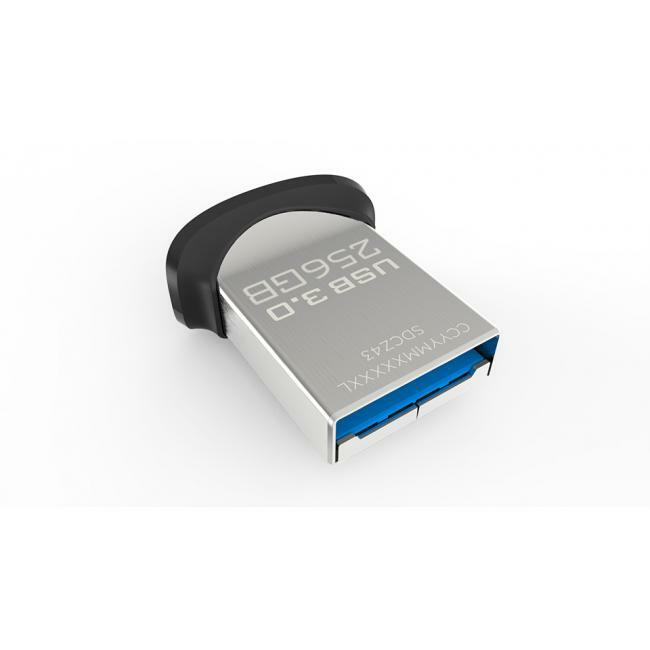 This ultra-small, low-profile USB 3.0 drive stays put for extra storage or moves media super-fast between devices. With the 32GB, 64GB, 128GB or 256GB* capacities, you can transfer a full-length movie in less than 30 seconds2 and enjoy write speeds up to 15X faster than standard USB 2.0 drives1. Keeping your files secure is also a breeze - the included SanDisk SecureAccess™ software provides password protection and 128-bit encryption to keep your private files private3. 1 (for 32GB, 64GB, 128GB & 256GB) Write to drive up to 15X faster than standard USB 2.0 drives (4MB/s); up to 150MB/s read speed. USB 3.0 port required. Based on internal testing; performance may be lower depending on host device. 1MB=1,000,000 bytes. (for 16GB) Write faster than standard USB 2.0 drives (4MB/s); up to 130MB/s read speed. USB 3.0 port required. Based on internal testing; performance may be lower depending on host device. 1MB=1,000,000 bytes. Combined disclosure for materials that feature all capacities: Up to 150MB/s read speed. 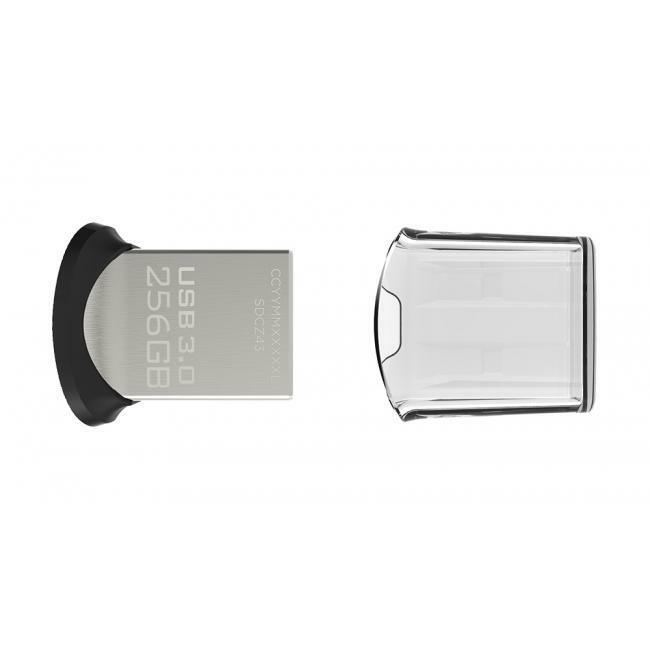 32GB, 64GB, 128GB, 256GB: Write up to 15X faster than standard USB 2.0 drives (4MB/s), read speeds up to 150MB/s. 16GB: Write faster than standard USB 2.0 drives (4MB/s); read speeds up to 130MB/s. USB 3.0 port required. Based on internal testing; performance may be lower depending on host device. 1MB=1,000,000 bytes. 2 Based on 1.2GB MPEG-4 video transfer with USB 3.0 host device. Results may vary based on host device, file attributes and other factors. © 2017 Western Digital Corporation or its affiliates. All rights reserved. 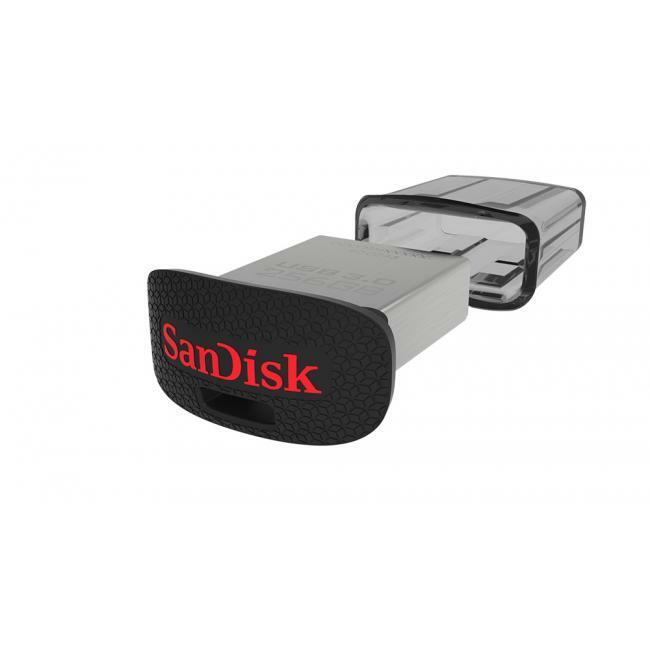 SanDisk, RescuePRO, SanDisk SecureAccess and SanDisk Ultra Fit are registered trademarks or trademarks of Western Digital Corporation or its affiliates in the US and/or other countries. Mac and Mac OS are trademarks of Apple Inc. All other marks are the property of their respective owners.